Tiffins Signature restaurant in Discovery Island at Disney’s Animal Kingdom at Walt Disney World, opened May 27, 2016. 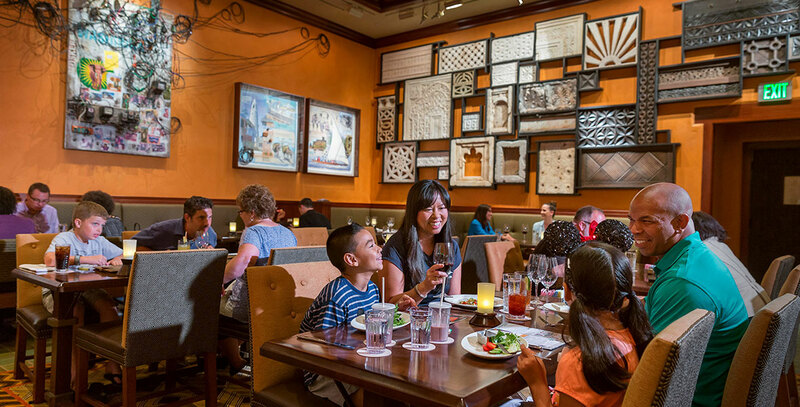 Guests dine among lavish artwork themed to Africa, Asia, and South America, inspired by notes and field sketches produced by Imagineers. “Tiffins” refers to a midday meal prepared for working men in India and the type of container in which the meals were served.